I have had many careers in my life. From short order cook, farm hand, trim carpenter, roofer, infantry soldier, Russian linguist, retail store manager, to electrical engineer, just to name a few, I have experienced a wide array of career paths. Nothing felt “quite right”, until now. The single constant, in my otherwise ever-changing world, is woodworking. Since my boyhood in central Kentucky, sitting in the forest whittling with my pocket knife, until my return to central Kentucky after over 30 years, woodworking has been my omnipresent therapy and joy. In 2006 my last child left the nest. I was told I would have the “empty nest syndrome”. I did. It was the worst three minutes of my life. I’m better now. Without children in the house, I discovered I had an excess of time and money at my disposal. What to do with this new-found liberty and prosperity? Invest in self! 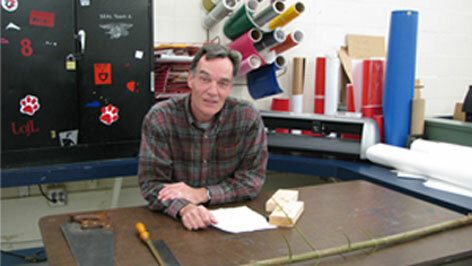 I began taking classes at Homestead Heritage School of Woodworking under Paul Sellers and Frank Strazza. I completed Paul’s foundational course, and continued going back for additional classes at every opportunity. Since then, I have been honing my skills and seeking out new areas of discovery within woodworking. I will try almost anything once, and at least twice if I like it. I have made many different things, from small wooden boxes and kitchen utensils, to a craftsman style rocking chair and Windsor chair. I have restored many old tools and made some of my own. My list of “exercises” is too long to post here. I am committed to sharing my knowledge with others. My passion for teaching and woodworking are my focus. I will never tire of watching a student enjoy the feeling of pride when they master a joint or complete a project. That is what it’s all about.